Four doctoral students from the Electrical Engineering department have received the 2017-2018 Dissertation Year Fellowship. The program selects doctoral students who are advanced to candidacy at the time of nomination (March 30) and are within one year of completing and filing the dissertation. The recipients will receive a $20,000 stipend, as well as standard tuition and fees, supporting their fellowship year prior to teaching or research appointments. 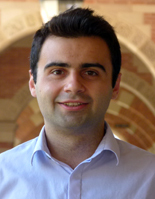 Onur’s dissertation research involves machine-learning applications for medical applications. His focus is on personalized treatments through either offline observational data sets or online clinical trials. His research has applications in the area of medical informatics, personalized advertisements, recommender systems, and finance. In order to meet the demands of data-hungry applications, modern data storage systems are expected to be increasingly denser. Consequently, novel technologies in storage are typically associated with an increase in the number and types of errors, making the goal of securing highly-reliable dense storage devices a tricky challenge. 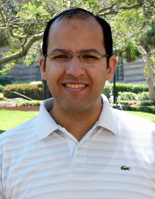 Ahmed’s research focuses on providing novel and efficient error-correcting coding schemes that are capable of overcoming this challenge. In particular, informed exploitation of the underlying channel characteristics of the storage device being studied, allows for the creation of frameworks, for systematically generating error-correcting codes with mathematical guarantees that offer performance improvements in orders of magnitude relative to the prior state of the art. The proposed frameworks in Ahmed’s dissertation have a vast variety of applications that include both magnetic recording and Flash memory, and provide a practical tool for storage engineers to use multi-dimensional storage devices. Implants for brain-machine interfaces receive power wirelessly from an external piece and transmit neural data at the same time. 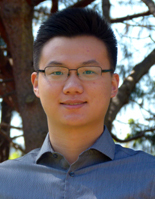 Jiacheng’s dissertation research focuses the creation of a system that supports both robust wireless power, insensitive to change in coil separation/misalignment or loading situation, and simultaneous high-speed data transmission to send out real-time neural data. The system described in his research is not limited to brain-machine interfaces, and can be used by other implants that require wireless power and data transmission. The wireless power theory and design methodology in Jiacheng’s dissertation can be easily scaled to other applications such as robust, wireless charging for consumer electronics. Next-generation storage technologies will require novel coding solutions to mitigate the new types of errors. 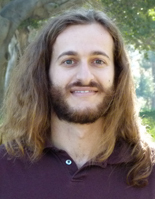 Clayton’s dissertation is focused on creating mathematical techniques—influenced by information theory and coding theory—to address the difficulties associated with storing, transmitting, and analyzing massive amounts of data. Potential applications include exotic storage mediums such as DNA storage.